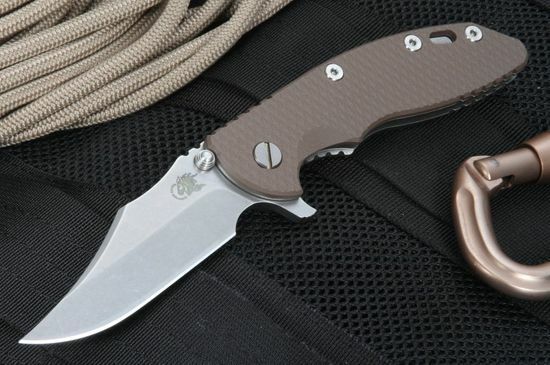 A tactical folding knife designed for heavy use, Rick Hinderer's XM-18 3.5" Bowie Blade - Brown features a 3.5-inch American-made Crucible S35VN stainless steel blade, stone-washed for extra durability and a fantastically pleasing appearance. 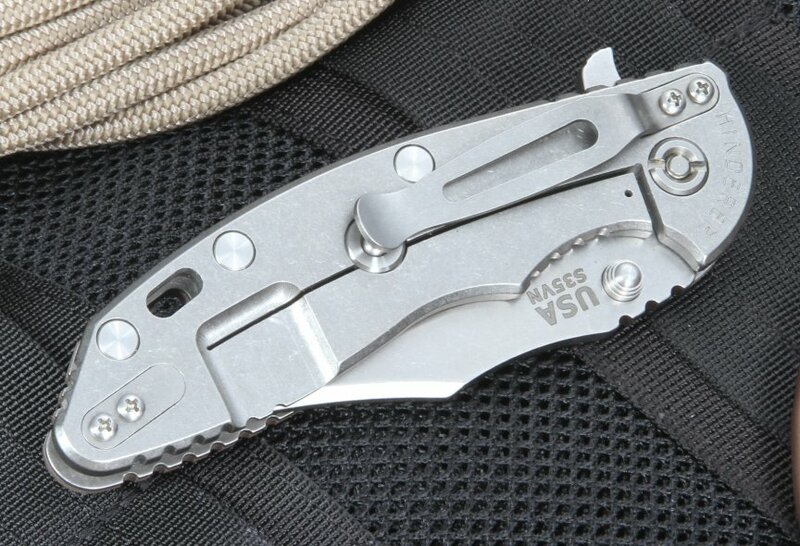 The S35VN steel blade comes in a classic clip point Bowie-style blade profile offers exceptional cutting or piercing power for combat, tactical, and survival applications. The stonewashed finish provides an attractive finish while also hiding the enviable scratches that come with regular use. The machined titanium with handle groves and textured brown G-10 handle provides the XM-18 Bowie with a sturdy grip and excellent control. A filed thumb rest on the knife's handle and blade spine increase the grip's stability, allowing for a truly uncompromising hold. Dual thumb studs and a flipper offer quick, easy one-handed access in either the right or left hand. 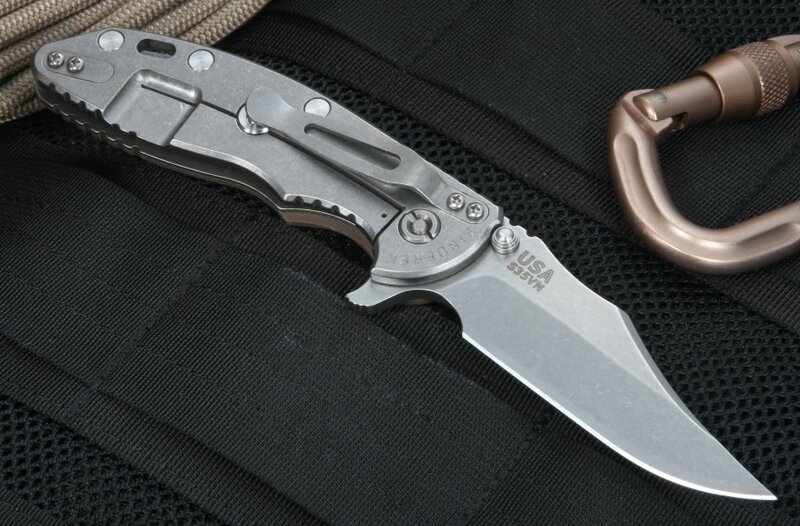 The titanium pocket clip can be mounted for either tip up or down carry, and a lanyard hole in the handle gives the Bowie folding knife more adaptable carry options. 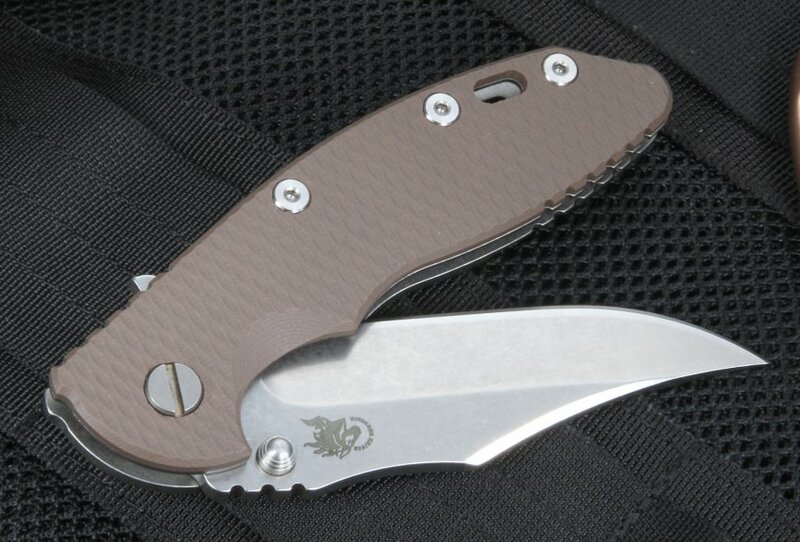 Weighing in at 5.5 ounces, the Hinderer Bowie carries the heft necessary for heavy-duty cutting tasks, but is in the perfect range for everyday pocket carry.